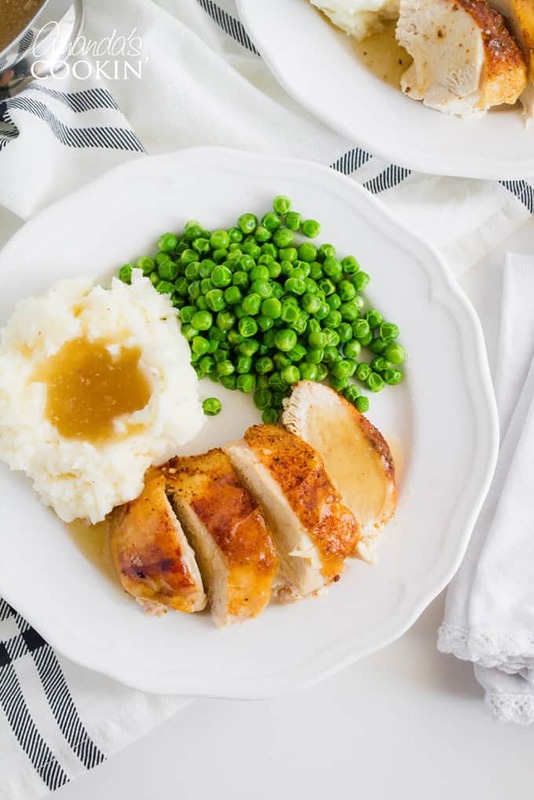 Crockpot Chicken : slow cooker sticky chicken, our favorite! This crockpot sticky chicken is one of our all time favorites and it was one of the first recipes I posted on this blog back in 2008! Back then my kids were in grade school and middle school. Now they’re all grown and out working or going to college. My 20 year old still cooks this crockpot chicken in batches and takes it to work for lunch. 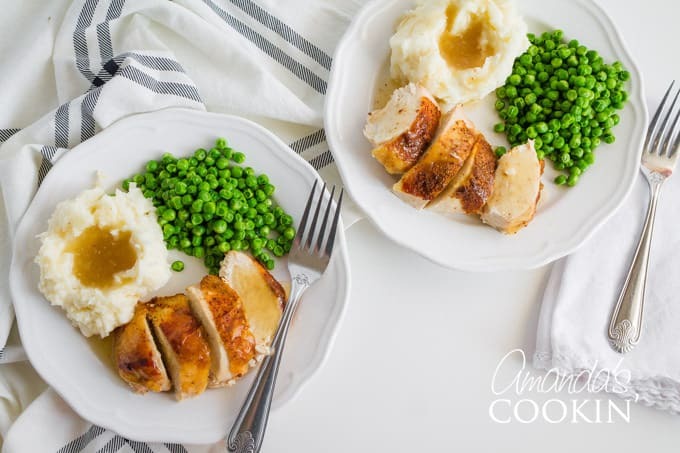 Another favorite is this super easy crockpot chicken and dumplings. The kids have added this to their rotation as well. I first tried this crockpot chicken recipe back in 2004. It was given to me by a friend I met on a message forum. Who knew this sticky chicken would still be in my recipe arsenal some 14 years later. I should note that this recipe is also awesome if roasted. While this recipe calls for a whole chicken, you can use just chicken breasts instead. We often put 6-8 breasts in the slow cooker for dinner. If you are going to use boneless breasts only, rub each one individually before placing them in the slow cooker. If you like both dark and white meat then a whole chicken is the way to go. Rub the spice mixture onto the chicken, both inside and out, making sure it is evenly distributed and down deep into the skin. I cut the breast skin open and rub the breast meat as well. Whenever I make this recipe I purposely make more than I need. The leftover meat is great in enchiladas, quesadillas, nachos, and soup. 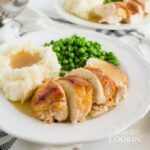 Whether you make a big batch with the intent of having extra, or you just happen to have leftovers, here are several ways to use that crockpot chicken! 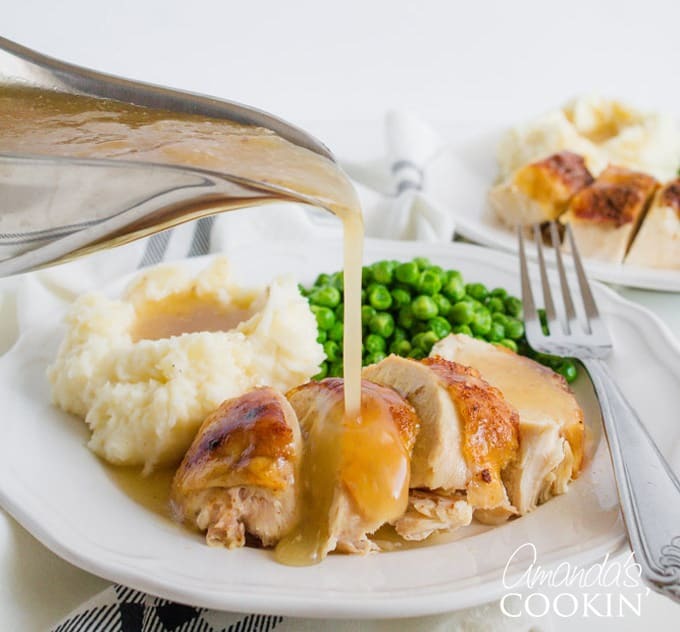 This recipe includes a quick and easy gravy recipe using the juices from the chicken. You can certainly enjoy it without the gravy if you like or crack open a can of gravy. Whatever works! I hope you enjoy it as much as we do! 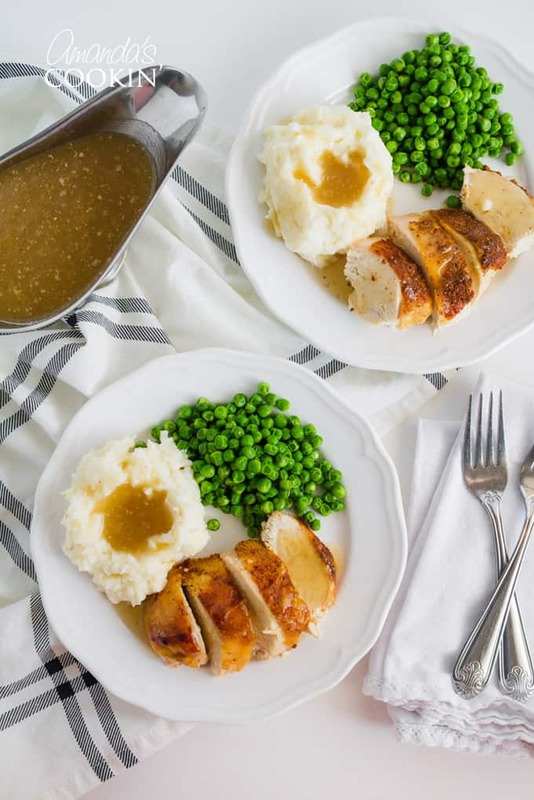 If you love slow cooker dishes, try this slow cooker balsamic chicken from Family Food on the Table, or my crockpot roast beef! Or if you’re just looking for another tasty chicken recipe, this Spicy Oven Fried Chicken is always a hit! Rub the spice mixture into the chicken, both inside and out, making sure it is evenly distributed and down deep into the skin. Place in a re-sealable plastic bag, seal and refrigerate overnight. Stuff cavity with onions and place in slow cooker. No water is needed, but I added about 1/4 cup to make me feel better. (if using breasts, place onions on the bottom of the slow cooker). Use a turkey baster to remove about a cup of the liquid and place it in a saucepan. Add enough cornstarch (1 tbsp maybe) to thicken it up on low heat, makes a fab gravy! What’s the liquid you add after putting the breasts in the crockpot, the recipie does not say. This looks sooo good and easy…definitely will hold onto this one to try! Thank you Liz, so glad you enjoyed it! Glad you like it Marie! I love the slow cooker too! Can’t find the print button today. Sounds like a tasty chicken. I have made numerous whole chickens this way now, just to get the extra meat for an assortment of meals. It is easier and better flavored then just boiling the chicken. One suggestion I picked up somewhere was to make some crumpled balls of foil to place in bottom of crockpot under the chicken. This helps keep the bottom of the chicken from getting soggy and greasy. I have also done this with whole thighs /breasts when cheaper then a whole chicken. After cleaning the chicken of its wonderful meat, I will throw the carcass along with any vegi and other chicken scraps I have kept in freezer, and add water and let it cook for hours to make a homemade stock. I do that with the bones too! My grandaughter went to South Africa and learned how to make sticky chicken, it was great but it was made with a lot of coke cola. That’s the sticky. This is my favorite chicken recipe. THe seasoning is delicious and spicy, if you make gravy with the liquid… my mouth is watering right now… it’s so worth it. It’s not a crispy chicken, but the meat melts in your mouth. You can put the chicken on high for 4 hours, but the low for 8 marinates the chicken even better! thanks Christina! I really need to add this to the menu next week! recipe sounds great and so easy. so many crockpot recipes require more prep than i want to bother with, so i look forward to trying this one. it’s too hot (113 here in okla. right now) to heat up the kitchen with an oven right now. Where is the “print” button for the recipe? This recipe is fab. Gravy outstanding. 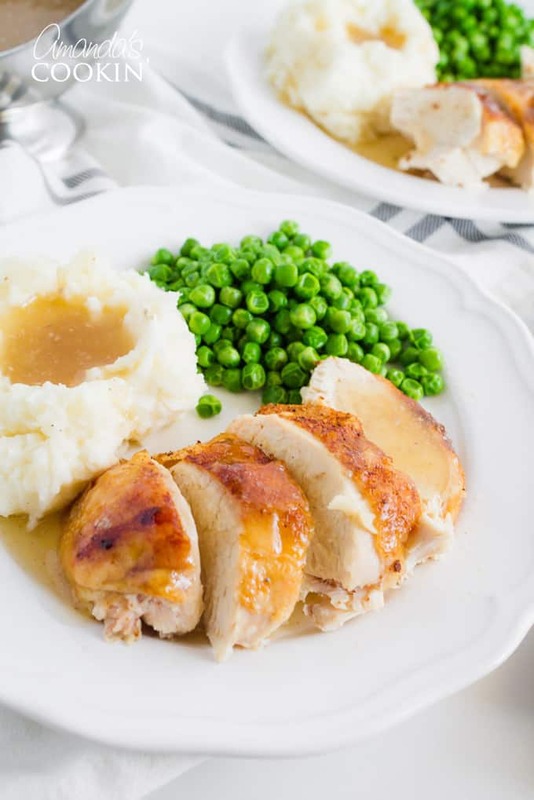 Where could I get more crock pot recipes using the whole chicken? That’s the way to go I think but don’t know if there are any more whole chicken recipes. Good question Rose! Putting the whole chicken in the crock pot is a great way to make extra meat for enchiladas, soup, etc too! I am going to love trying this. I have a 6 lb hen at home now. And I’m sure that the spices make the chicken skin sticky…so maybe that’s the sticky part.